Guilty Displeasures: Is it okay for stars to be jerks? 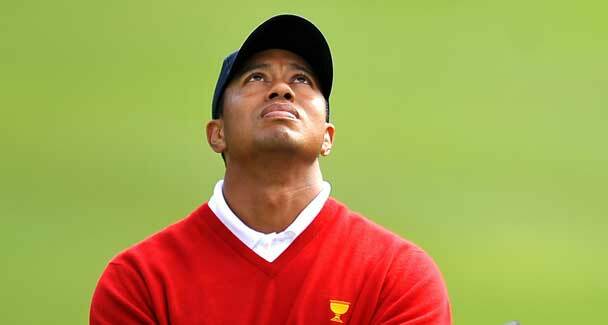 Tiger looking despondent after a bad shot. (Or, rather, The New Normal.) Photo from Agence-France Presse. Anyway, I'm mentioning this because Lance Armstrong has been in the news a couple times in the last month for, of course, being a jerk. If you didn't know, he's now an Iron Man Triathlete - a race length that's roughly four times that of the Olympic length. But he's still the same poor-sport that he was renowned for being whilst doing the cyclying thing. Snubbing his daughter. Classy. Screen cap by cafemom.com. mocking Olympic triathlon as a "shampoo, blow dry & 10k run" (singling out the "drafting" strategy of having a teammate sacrifice himself in order to help the team's star conserve energy - which, hilariously, is a strategy that every team uses in the Tour de France) and thus offending a bunch of his ostensible peers. Nice. But this is where the Woods and Armstrong examples converge, for me - is there something about the single-minded focus and intensity that's required to be The Best that can explain (or justify?) that kind of behavior. If you need to dial it up to eleven in order to be The Best, does it in fact make perfect sense that you would take losing - or being embarrassed, as in that second example from Armstrong - really poorly? If you're that invested in the outcome, personally, should you not be really upset when it doesn't work out? But even if that's true, is it justifiable or excusable? And am I simply trying to rationalize some problematic effect of masculine machismo?